Ann Harris Yasuhara, 82, died at her home in Princeton, New Jersey, on Wednesday, June 11. A logician and computer scientist, she was known for combining her Quaker faith with action focused on peace, social justice, racial equality, and the environment. 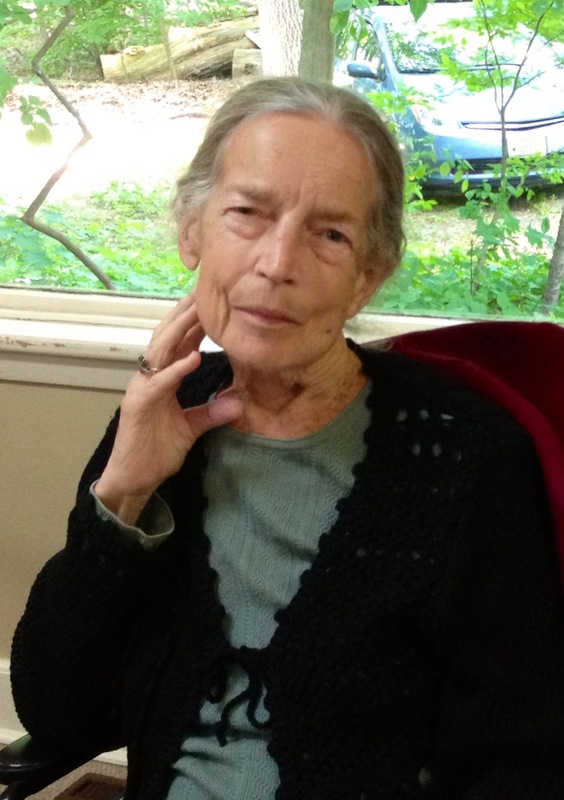 Her life balanced her love for the sacredness of all life, the compassionate concerns of a Quaker activist for the world and the local community, her delight in music, gardening, and art, and her generosity to friends and family. Born on March 8, 1932 in Madison, Wisconsin, her parents were Julian Earle Harris (a French language educator at the University of Wisconsin who received the Legion of Honor) and Elizabeth Marshall Harris, a sculptor. She studied cooking and fashion design in Paris, attended Swarthmore College. and earned bachelors, masters, and PhD degrees in mathematics from the University of Illinois. In 1970 she and her husband, Mitsuru, settled in a cozy little house and garden in Princeton and pursued their vibrant interests in mathematics, music, and art. Ever adventurous, they traveled widely, including regular trips to visit his family in Japan. Perhaps her favorite place was her garden. Ann Yasuhara belonged to the living tradition of Quaker spirit-led peace and justice activists. Unflagging in her resistance to war and violence, she studied the philosophy and methods of non-violent resolution of conflict with George Lakey, the noted Quaker peace activist. In turn, she led many training groups and action activities. Within the Society of Friends (Quakers) she served terms at Princeton Friends Meeting as Clerk of the Meeting and clerk of the committee on peace and social concerns. She also served on committees in Philadelphia Yearly Meeting, an association of 103 Quaker meetings. “Ann was a leader in the Quaker faith and an inspiration to all of us. She set the bar very high and gave us confidence to fight for a better world,” says Janet Gardner, a documentary film maker with the Gardner Group and a member of Princeton Friends Meeting . Within the Princeton community, she helped found Silent Prayers for Peace, which keeps silent vigil every Wednesday in Palmer Square. She was a founding member of the Latin American Legal Defense and Education Fund (LALDEF) . As a founding member of Princeton’s Not in Our Town (NIOT), an interracial, interfaith social action group committed to racial justice, she was instrumental in creating programs that honor and support youth of diverse backgrounds. She also teamed with the Princeton Public Library to develop, through NIOT, thought-provoking community discussions on race, white privilege, bullying, and the environment. Her work withstudents was notable. She was a volunteer tutor, supported Committed Princetonians (a mentoring group), and served on the Minority Education Board of Princeton Regional Schools. In 2010 Ann was featured in a U.S. 1 article about retirees who are making a difference. She is survived by Mitsuru Yasuhara, her husband of 49 years; her godchildren Josue Rivera-Olds, Grecia N. Rivera, and Julio R. Rivera; cousins including ​Sarah Rogers Pyle Sener (Pikesville, Maryland), Jan Marshall Fox, J. Laird Marshall, Nancy Marshall Bauer (Madison, Wisconsin), Jane Marshall (Birmingham, Alabama), Richard H. Marshall (Toronto, Canada), James R. Marshall (Gardnerville, Nevada), and Barbara Figge Fox (Princeton, New Jersey) and their families. Interment was at Forest Hills cemetery in Madison, Wisconsin. A memorial service will be held on Saturday, July 5, at 2 p.m. at Princeton Friends Meeting. Donations in her memory may be made to any of the many charities she supported and/or to Princeton Friends Meeting, 470 Quaker Road, Princeton NJ 08540. For a list of the charities she supported, click here. (This post is based on the obituary that appears at Kimble Funeral Home. Also it is on the Town Topics website. Photo by John Kelly was taken on June 1, 2014).